Inspired by muses in the cabaret, the Naked Bow pump expresses audacity and subtlety. 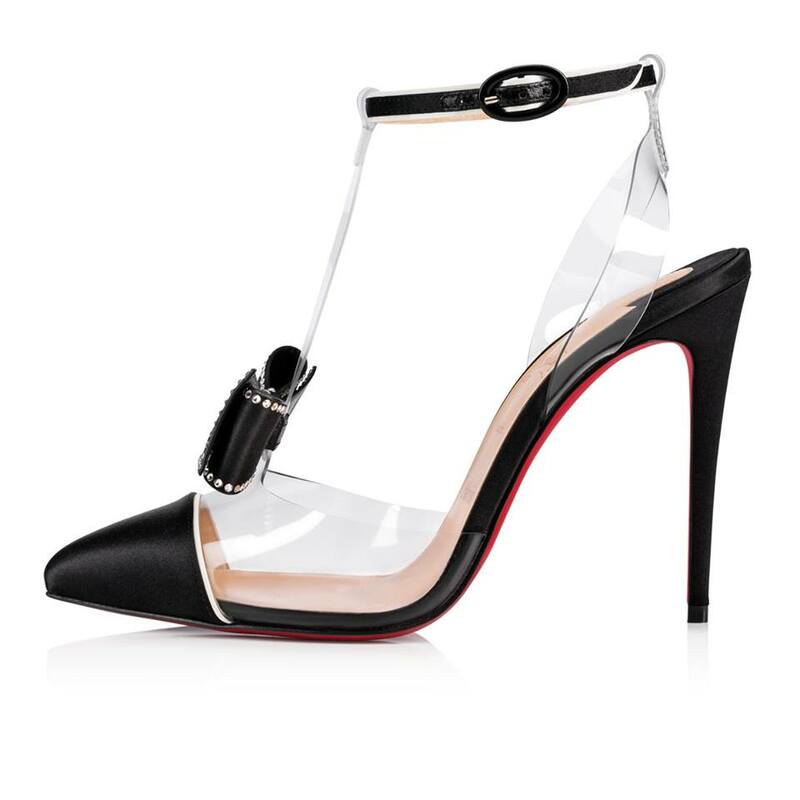 Made of black satin and transparent PVC, it is adorned with a jeweled bow on the vamp and an ankle strap that dresses the foot in suggestiveness. 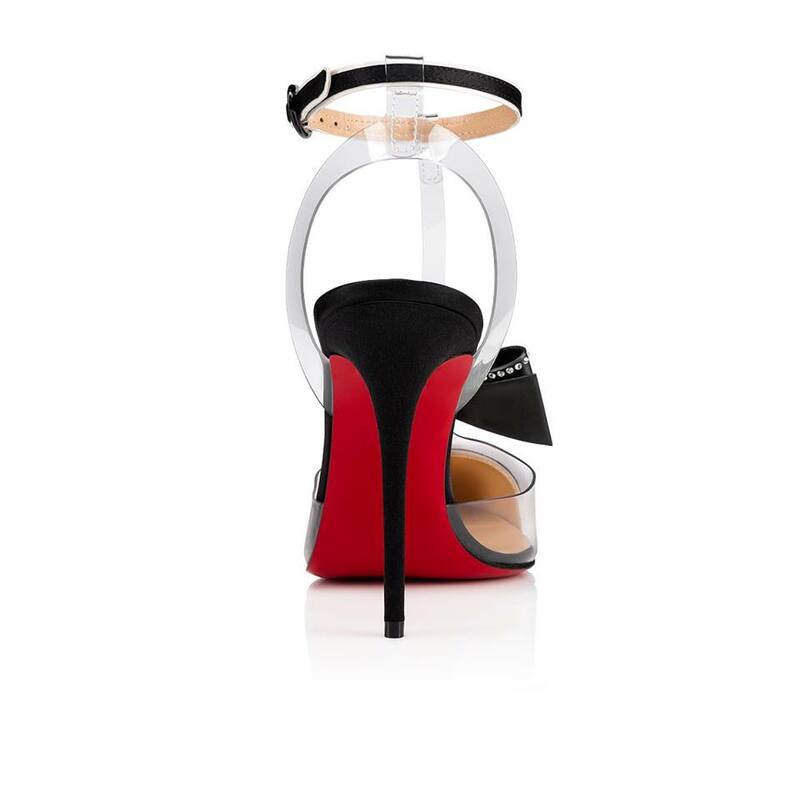 Mounted on a 100mm stiletto, it reveals with each step the signature of the Louboutin House.